Do you want to travel independently in Cuba? There’s nothing better than a road trip and that’s exactly what we did! Driving in Cuba gives you maximum flexibility both in schedule and destinations you are able to reach. And trust us when we say this is the best way to experience this highly sought-after Caribbean Island. Get ready for an adventure! Before our trip, we searched the depths of the internet and couldn’t find much about driving in Cuba. This came with no surprise after our trip. We don’t have a number, but the amount of people renting a car and driving in Cuba still is very scarce, which explains the lack of information out there. 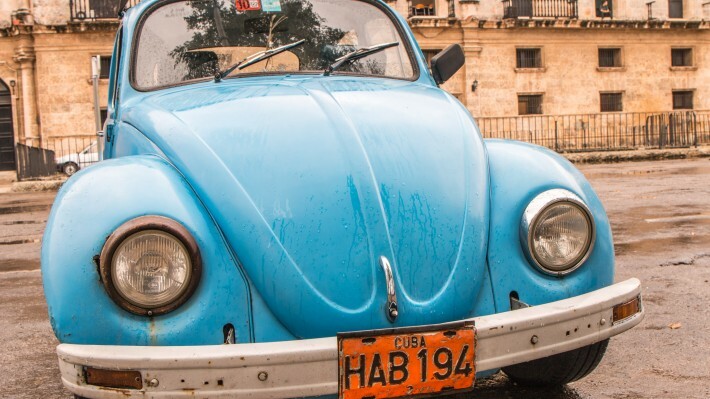 To help others experience Cuba on their own, we decided to write down all one needs to know about renting a car and driving in Cuba! The first step is renting a car. No need to look for the main international car rental companies as they are not operating in Cuba (yet!). All the local companies belong to the government. The main differences between them are the name and the customers they target. In the end, they don’t really differ much. We went with Rex and a Renault sedan. The other options are Havanautos, Via and Cubacar. 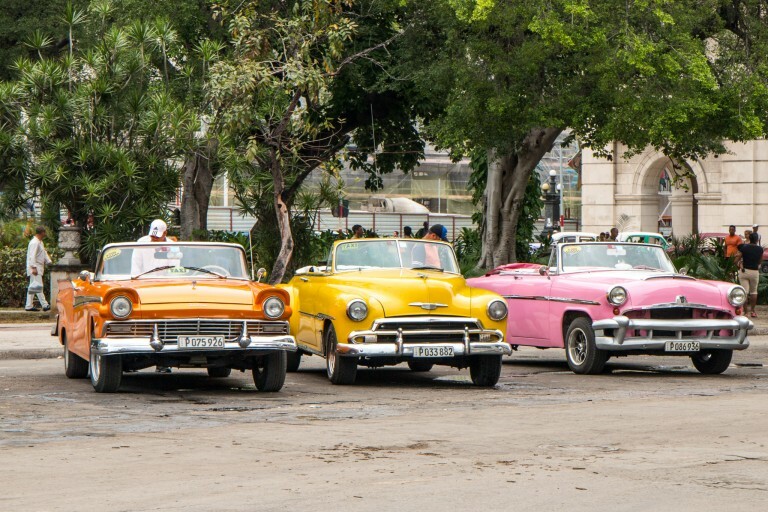 To bust the car myth, Cuba has normal cars and you won’t be renting a classic car from the 50’s. All the rental cars are relatively new and from international brands albeit a bit more limited in choice than in other places. Don’t expect brand new cars and a service with international standards. We found the quality to be good and perfectly safe. A downside of the limited availability in cars and models are the prices. Renting a car in Cuba is more expensive than your average rental elsewhere in the world. It is highly recommended to book well in advance, especially during the high season as it sells out quite often. Bookings can be made online. You’ll need to pay the rental in full when you book online except the mandatory insurance which needs to be paid when you pick up the car. A full tank will also be charged at that time. One-way trips are allowed and can be arranged for free depending on the car rental company. As long as there’s an office from the rental company in the destination you choose, you should be fine. We saw quotes for places without an office at around 100/150 CUC. 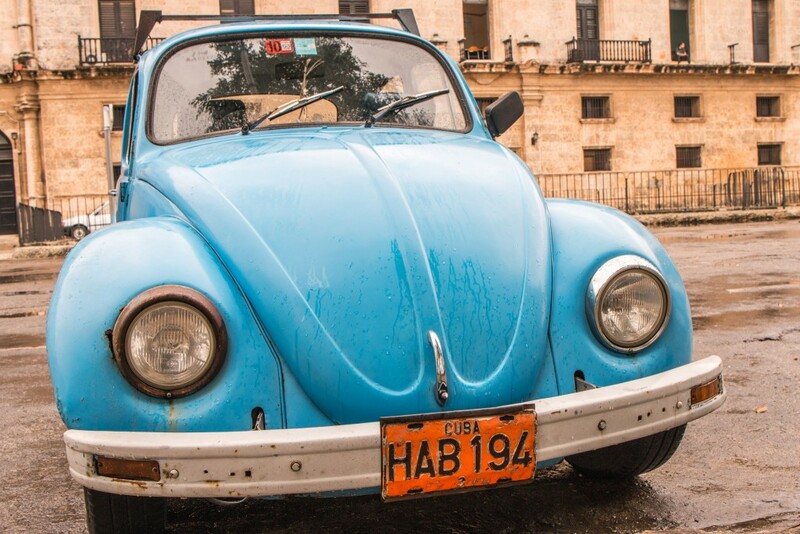 Cars in Cuba have distinctly colored license plates and rentals have a red background plate. Be aware this will make you easy to spot. Yes, everyone will know you’re a tourist! Driving in Cuba is on the right-hand side and the rest is pretty much the same like everywhere in the world. We didn’t find anything specific or special laws about driving in Cuba. 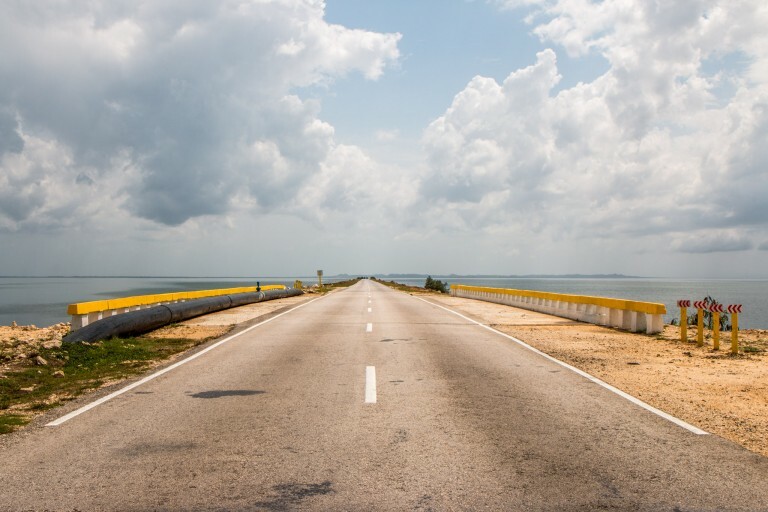 There are some motorways (autopistas in Spanish) of which the most relevant ones are the A1 (runs east of Havana to the central part of the country plus another section closer to Santiago) and the A4 (Havana to Pinar del Río). The old single-lane carretera central connects the whole country from west to east. The maximum speed limit is 100 km/h. Road quality is acceptable. In all honesty, we were expecting road quality to be far worse. You’ll find some potholes here and there but nothing major. We only encountered a couple of gravel roads. 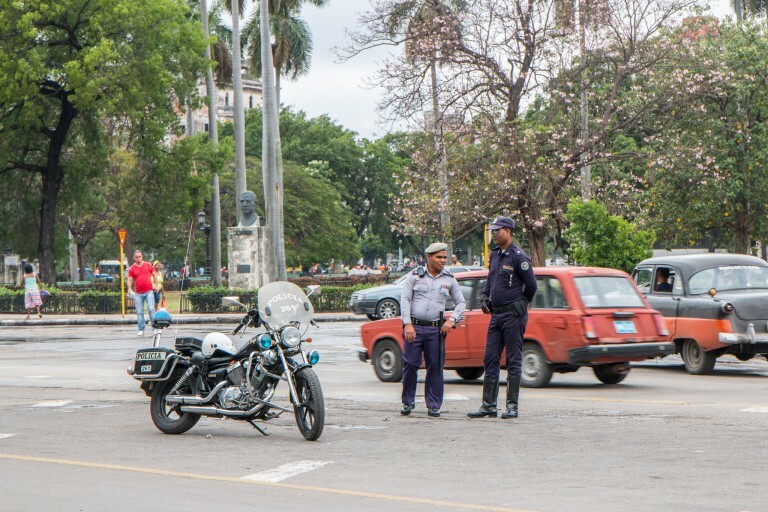 Traffic is a bit more complicated in Havana but not chaotic. If you’ve driven in busy cities you’ll find it quite easy to manage. The best option for most cities is to park and then explore on foot instead of driving. The reality is that most Cubans don’t even own a car and you’ll be driving a lot without seeing any other cars. When driving through towns and smaller villages, you’ll need to be careful with people using the road for all sorts of things except driving a car. This includes plenty of animals. We even saw cows crossing the A4! 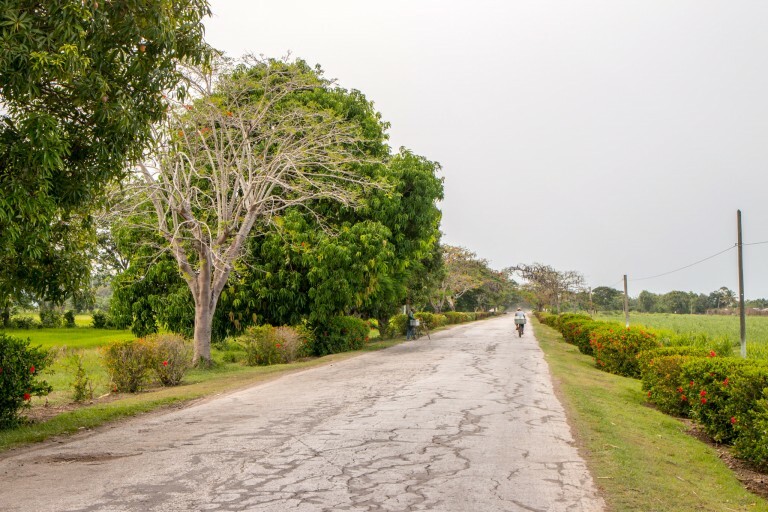 The main issue with driving in Cuba is the lack of signs on the road. And before you ask why you need signs let us tell you that GPS is not exactly allowed. Yes, still technically forbidden! GPS can be confiscated by customs and car rental companies won’t rent a GPS device. The best solution is to do it the old way and buy a decent road map. Quite exciting, right? This doesn’t invalidate the possibility of having an offline map in your phone to help out. Just keep it away when not necessary. It’s really helpful to learn at least a few words in Spanish in case you need to ask for directions. This is highly likely to happen if you venture outside the main touristy areas. Plus, the probability of finding someone that speaks English in some areas is close to zero. There’s plenty more but this should get you started and motivated to learn more! Rental cars are supposed to use the best gasoline (94 octanes) which is not available everywhere. Smaller towns won’t have it so keep your tank full when traveling in remote areas. The other two are usually available (90 and 87 octanes). Most cars will work just fine with 90 though. Parking is relatively easy to find and mostly free. In the center of bigger towns, it may be slightly more complicated. Some hotels and casas particulares will be able to arrange a place for you to park. Don’t forget everyone knows you’re a tourist and people will help you park in exchange for a tip. Usually, 1 CUC is fine. A few tourist attractions also charge for parking. No more than 1 or 2 CUC. Renting a car and driving in Cuba was part of the adventure that our road trip was. This experience is more than likely to develop in the near future with the changes the country is facing. International car companies will want to expand into Cuba and this will greatly affect how the market works. Hopefully, bringing the prices down and raising the quality. A few final tips before we go. Hitchhiking is part of the Cuban culture and virtually everyone does so. This will be more noticeable outside Havana where transportation is very limited. It’s up to you to decide if you want to give someone a ride. If you ask for directions, expect to be asked back for a lift. Hustlers can easily spot you, again, by the type of car and plate, and will try to make you stop. Ignore them and proceed. Some can be very persistent and will invent the craziest stories. 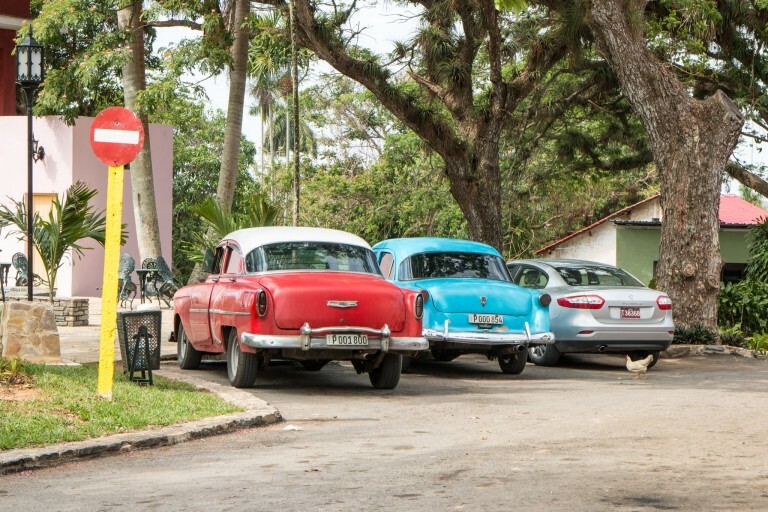 Are you ready for driving in Cuba? Let us know what you think about this guide! I would love to drive a car through Cuba. It’s definitely something on my bucket list. But, as you said, it’s something that we’ll have to do sooner rather than later with all of the international companies coming in. By the way, I love your pictures! Thank you, Natalie. Cuba is a very picturesque place and the photos just tend to look good! It’s a great country for such a trip. Hopefuly, the international car companies will blend in nicely. It’s a shame the plate thingy. It’s fairly normal for countries to have special plates for government vehicles but we’d never seen for tourist cars. Hard to pretend you’re not a foreigner! It was actually ok to drive in Cuba compared to other places where we’ve done similar trips. You’ll be driving the slightly newer cars, don’t worry! Such a good idea! Cuba was my first ever travel destination 12 years ago and I went for the all inclusive thing like most people do, but now I am dying to return and visit by myself. That’s definitely the most popular choice even nowadays. We see lots of people talking about going to Cuba (even from outside the US) and that’s all they think about. They’re building new resorts to cater for those tourists. The rest of the country seems quiet. You’ve done that, so now you know what to do next time! Thanks man! Your help is greatly appreciated! I’m landing in Cuba in a couple of months and will be doing the same. That’s great to hear. Hope you have a good time and ping us in case you have any questions! It’s a great place to visit and it’s not all about cars and cigars. There’s plenty more! Driving by car allows for a lot of flexibility and you can reach places you’ll never be able to using the limited public transport available. We don’t regret this choice for a second! They knew if they wanted to attract tourist to rent a car they would have to change and bring in more modern ones. Because of the economic sanctions the solutions were/are a bit limited. Car rental is something most people don’t even think when travelling to Cuba. It wasn’t easy finding information about it. We think it’s going to take a long time for such big changes to happen. The problems in Cuba are structural and those take a long time to fix. The Cuban government is actually buying back the old cars from private owners at a good price so they can preserve them and use for tourism. Which is not bad at all. Also, not a lot are in such a great shape. You can rent one to drive on your own for an afternoon (or 15 mins..) but most come with a driver. It’s a super touristy thing to do and they charge accordingly. What an awesome guide to driving in Cuba! I know my boyfriend is dreaming of a trip there so we will be saving this post! Cuba is on my travel list for this year, but Im not sure I would be up for hiring a car and traveling around as you did. Very interesting to read that GPS is banned, how crazy, but Im sure things are going to change in the coming years. It was perfectly fine most of the time except when we had to check the map two or three times to make sure we were going in the right direction! It was also good fun. The GPS thing will change soon. There’s no way around it. Again, you can you an offline map in your phone. Should work for most of the main roads. Someone needs to properly map the country first! Awesome guide! We visited Cuba 2 years ago and didn’t rent a car, we just took buses, but it’s a cool option! We went on road trip in Mexico last year and it was definitely a great way to see the place! Road trips are great, aren’t they? For us, it’s the best option for certain types of destinations. We met a couple of travellers that were taking the Viazul buses and were mostly happy with it. A bit frustrating at times, but worked great between the main cities. Thanks, Marc! You definitely should. 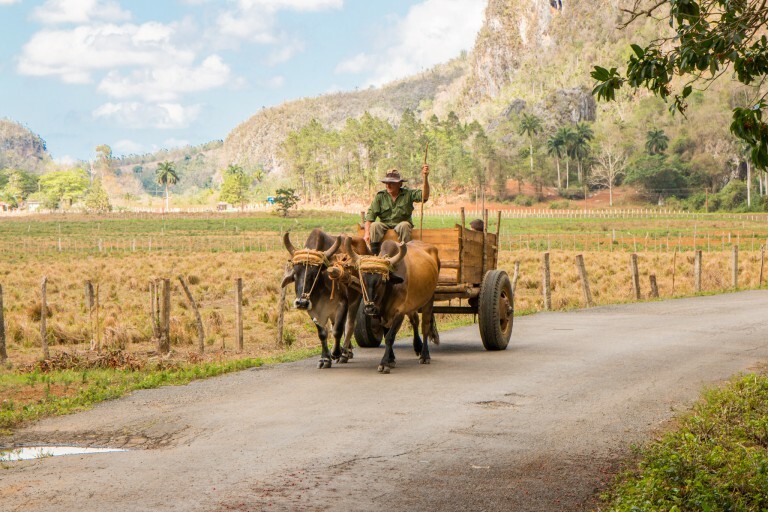 Thanks for these tips – I had never thought about taking a roadtrip through Cuba, but it does sound like a fab way to experience the country. So you can drive on an international license here without any issues? We’re from Australia. I’ve said countless times to people that experiencing cuba by driving around the country was probably our best decision of 2015. It was such a surprise for us in terms of variety and things to do and completely off the beaten path, as in no one around but locals. We wished we had stayed another week or so. Great question about the licenses. Will research a bit and update the article. We have Portuguese/European licenses and didn’t even need an international one. Think that as long as it’s in something they can read like English (or any latin alphabet) it should be ok.
have been to cuba a few times and we find that it is cheaper to hire a car and driver (sometimes even a guide as well if the driver doesn’t know English) than renting a car. also the excursions are fairly cheap and a good way to see the lay of the land. Thank for your input, Leslie. We definitely saw a handful of tourists with private drivers/guides. Rex also allows to get a driver as part of the car rental but that was a bit more expensive on top of the standard price. If you have any specifics, that would be great, so I can update that information. Excursions tend to be cheaper because it’s a group thing. How big of an excursion are you talking about? 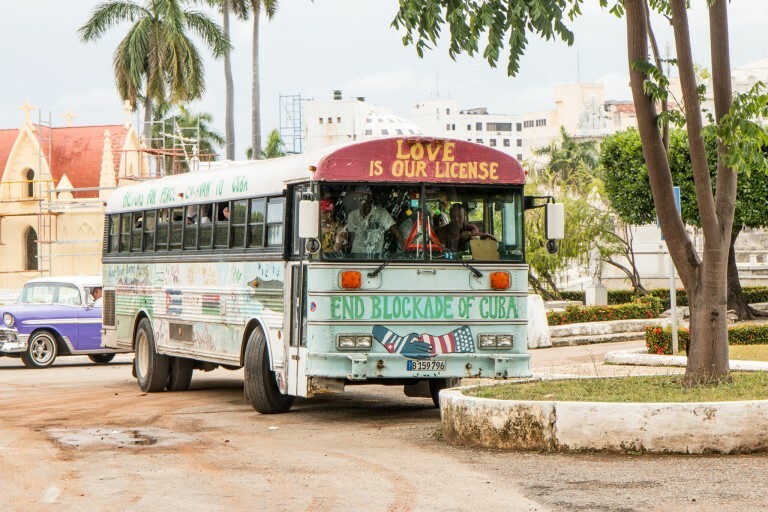 If it’s like a big bus, that’s not a great way, in our opinion, to visit Cuba. But it surely gets you to the most known places around the country. The advantage of having a car (driver or not), is that you decide where and when to go. Which is something quite valuable! I’ve been trying to wrangle one of my friends into a Cuba road trip for months, so this truly couldn’t have come at a better time! Definitely saving this. Thanks for the post! That’s great to hear, Katie! Hope you make it there and have a great time. Love, love, love the detail you provide here. I honestly would have thought it would be impossible to drive independently in Cuba and this has opened up a whole new bunch of ideas. One question though – you mention the hustlers at the end. Any specific stories or examples of what we should look out for? It’s not impossible as you can see but it still only accounts for a tiny percentage of the travellers there. New ideas are great! Nothing major about the hustlers. They tried to stop us a few times. 99% of them just go away when you say “No” but others can a be a bit more persistent. In one case some guy shouted and insulted us (I replied back in good Spanish for him to hear :)) The stories they will tell are the same old ones, the road is closed ahead, the hotel is closed, etc. The idea is just to get you to go to a place they know so they can get a commission. As long as you know where you’re going, you fine. And you can easily tell if someone is there on the side of the road just to trick your or not. Our impression, is that it was perfectly safe. I misread this and thought it said diving in Cuba haha! Great read and very informative. I can see many people getting great use of this post! Ahah. This is definitely about DRIVING! Yes, hope it’s useful. On the other hand. Diving is actually a great idea for Cuba. We only did snorkelling but saw/read about great spots there. After all, it’s the Caribbean. We drove through Cuba in a new rental car in 1999 — from Havana to Cien Fuegos and back. There were potholes on the main roads and we broke down. Fortunately, the car died right in front of a branch of the rental company. They gave us a new car and we continued — finding our way by asking people waiting for transportation at the crossroads if anyone was going our way, We traded a lift for navigation. We loved Cuba! Thanks for sharing your experience, Bill! Asking for directions is definitely the fun part of the adventure that is visiting Cuba! Shame about the breakdown, but that’s part of a road trip. We rented a car in Cuba in November 2008. We went there on a last minute package to Varadero – not our usual kind of trip, but cheap and it was our first visit to Cuba. It was easy to rent a car for 5 days, just across the road from the hotel (much to the alarm of the tour rep who only found out about this after we got back!). We always like to drive ourselves as we can stop whenever and wherever we want. Driving was fine, except for the lack of road signs. We had to count the exits on the Havana ring road to find the way to Hemingway’s house. We stayed in casas particulares where the owner always gave us a safe place to park overnight. I read that things may have changed now, but the worst thing was finding somewhere or something to eat in the middle of the day. Being able to speak a little Spanish was a help. Thank you for sharing your experience with us. Looks fairly similar to what we experienced both whilist driving and staying at casas particulares. We didn’t go to Varadero and also started from Havana. It looks like things didn’t change much since 2008! Any ideas about renting a motorcycle and touring through Cuba that way independently? Not a lot, no. Sorry. We know that in Viñales you can rent scooters for the day (at a cheap price) and that’s pretty much it. Don’t recall seeing anyone doing it. It must be a great adventure! Thank you for the very useful info. We are going next week and only just finalised the stops and casas on the way. It seemed impossible to find a car on websites recommended on other forums and yesterday I found an article saying that as of January this year travel agents and third party companies are not allowed to do/confirm the reservations? I now found a car available on rexcuba.com however I am a bit reluctant to pay in advance as I heard many stories of people turning up and cars not being available. How did you book your car, and how did you pay? I’d be grateful for any advice! Shortage of rental cars is not unheard of, especially during peak times. Not that many cars are available! That’s weird. We booked with Rex via Cuba Travel Network. Everything went smoothly, and the car was waiting for us. We had to prepay, online except for the insurance as we mention in the article. Anything else, just lest us know! Thanks for the great tips. It’ll be a real help when I go next month. Surely if you use SatNav apps/Navigation on your phone, that’s allowed, right? In theory, also not allowed, but since it’s a device you use for other things it should be ok. To be on the safe safe side, get a decent map, GPS may not be 100% accurate or up to date. Thank you so much for this incredibly insightful and up to date knowledge on driving in cuba. My boyfriend and I have been struggling to find valuable information and so this has really helped us make our decision now to rent a car next week. I was just wondering whether you bought a map of cuba when you were out there or printed it out from an online website before you left. Would really appreciate some advice on the best source for directions if GPS is limited. Thank you! Glad it’s useful. We had the same experience when we were planning our trip – close to 0 information. This should still be pretty much 100% accurate. We actually bought the map before heading there (there are a few on amazon – get an updated one). In theory, they also sell them in Cuba but we didn’t see any. My advice would be to buy one before going and to get an offline map app on your phone just in case. Cubans are friendly and will help you if you’re lost. Thank you for your post. My sister and I will be renting a car in Cuba. Will my regular US driver’s be accepted? We have booked a car, and believe we need to pay car insurance from the day we pick up the car. Did anyone ask for evidence of health insurance? or any other paperwork? And while on the topic of health insurance, did anyone ask for evidence or is purchase of health insurance at the airport an option? Looking forward to going to Cuba, as well as your reply. Not 100% sure about the US driver’s licence, but I would say it’s not a problem as long as you have a valid one. Ours is Portuguese and there were no questions asked. They just wanted a document to prove you’re able to drive a car. Car insurance is mandatory and paid when you pick up the car. We’ve heard about that health insurance but no one asked us about it at the airport. We had our policy number/document printed just in case. Hope it’s useful and have a great trip! Thanks for this guide – it’s really helpful with great tips I haven’t seen elsewhere. My family and I are travelling to Cayo Coco next year, and whilst there we plan to rent a car and drive up to Havana for a couple of days. But I don’t know whether to drive straight there or stop off somewhere along the way. Did you visit anywhere great along that route that you’d particularly recommend we should stop and see? Thank you for reading. Glad it’s useful! We didn’t do a straight trip from Havana to Cayo Coco. I think the obvious one would be Santa Clara. 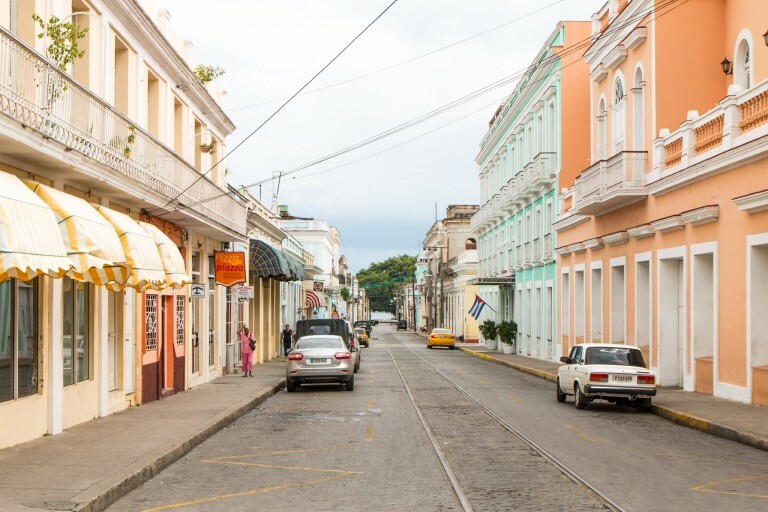 Two great places are Cienfuegos and Trinidad. These last two (especially Trinidad) required a bit of backtracking but are really nice places to visit. You can see more about them here on the blog. If you have 2 or 3 days, that’s doable. Thanks for this I found it very useful, as others have mentioned, this information is’t available elsewhere. I am shocked and a little upset to hear that you can’t rent one of the 50’s cars. That would have been very cool. I found a couple of sites such as http://cubacenter.com, would you recommend buying a Visa for Cuba online or would it be best at the airport? I can’t wait to plan a trip! Where are you based? If you have a Cuban embassy close to you, then that’s cheaper and faster. If not, there are some airports where you can buy a visa but not all. Can’t vouch for the online site as we haven’t used them. Driving one of these vintage cars is my dream! It is so unique that they have preserved these old models so well, as if the time has stood still. The vintage cars look great but many drive horribly. Some cars only have a single front brake which pulls the car when stopping. I would not recommend the vintage cars for long trips. That’s right. We don’t recommend them for long trips either. I’ve read a lot of renting a car and it seems to be the best option however I did have a couple of concerns I was hoping you could address. When you left your rental car places, did you pay to have someone watch it? I’ve read on other blogs that this was essentially required. Also, did you purchase additional insurance? 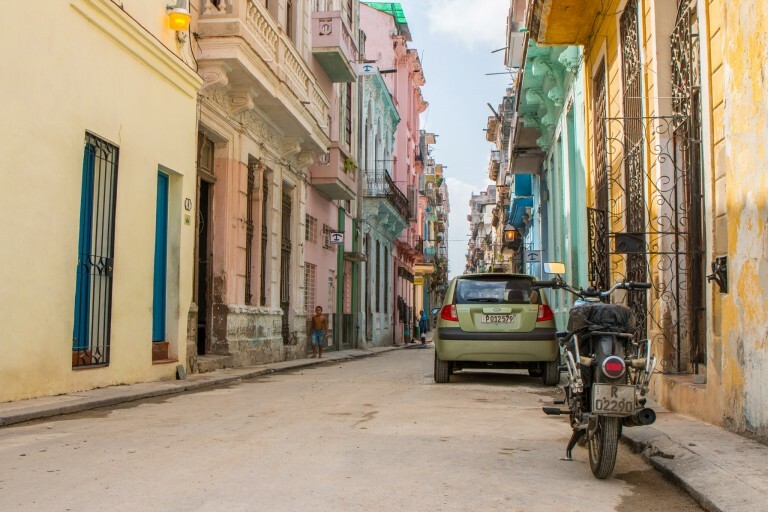 Renting a car is the best way and sometimes the only way to see Cuba. We didn’t have any problems parking or leaving the car anywhere besides some people trying to “help” for no reason, but this was the exception and not the rule. Everyone knows you’re a tourist because the license plate has a special color and this will attract attention but nothing to be concerned about. Just get the insurance they make you purchase on top of the car price, that’s mandatory and can only be paid in person. We’ve heard rumors of people buying extra insurance that didn’t exist. Pay attention. Great article. Wish I’d found it before we went to Cuba in January! We rented a car and, aside from being hard to get one in January, we had no problems. The number plates for rentals are the regular colour now, albeit they all seem to start with a “T”. Thanks, Paul. Car availability is a problem all year round because of the current demand. That’s a good tip! Going there again later in the year. Do you need to have cash for petrol or are cards acceptable? It’s cash-only like pretty much everything else in Cuba. This is helpful, however I’ve heard that if you get in an accident in Cuba and injure someone, you have to stay in the country until they are cleared medically. Do you know if that is correct? I can’t confirm if that’s true although I’ve heard/read about it. From my own experience and feedback from readers that have seen this, their trips went perfectly fine. My suggestions if to avoid driving at night and pay attention to the animals on the road. By driving, you get to visit a lot of things in Cuba which are otherwise difficult to get to. Fantastic article very helpful but I was wondering do you need a driver permit or any other documentations need before hiring a car? Thank you for reading! Your driving license is enough. Is there a website to find more information about this? We have come across many different sources all saying different things about international driving permits. We have a unique travel style, and only 2 weeks to fit everything so we are beginning to think that a car is the only way to go. This is an overview from our experience prior to and after the trip. It’s packed with useful information. As long as your license is in a Latin alphabet, then it shouldn’t be a problem. I’m not sure what you mean by unique but driving is definitely the way to go to explore the island. The Havanautos site doesn’t seem to work (you can search cars but ‘book’ links don’t work), similarly on the Rex site when you try and book it takes you to a CubaTravelNetwork site which says “no cars available”, and other sites just have general enquiry forms rather than online booking and so far none have responded to my enquiries! I’m nervous about leaving it until we get there as our accommodation is booked and I don’t want to risk not having any transport! 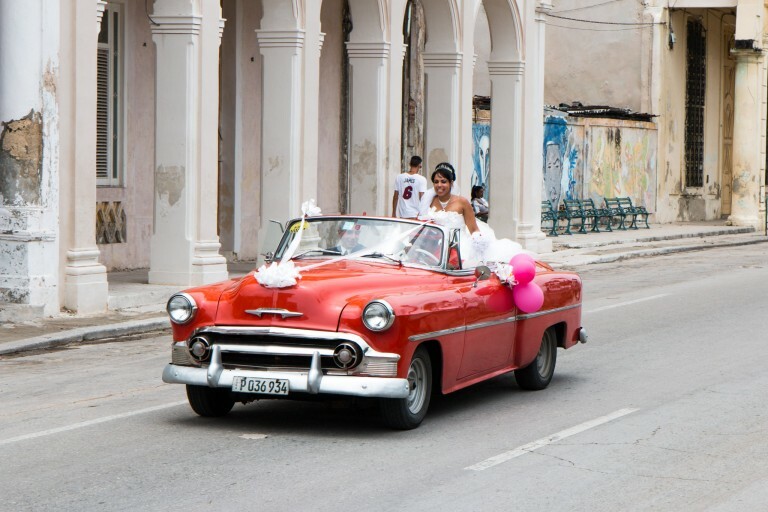 Do you have any tips about the best way to secure a car booking before getting to Cuba? Yes! The best option is to use Cuba Travel Network. They represent all the local car companies outside Cuba. We’ve booked with them before. The only issue is availability. When are you traveling? Definitely don’t leave it until you get there. Send us an email if you need more help. Hi the way you wrote this all stuff was really very helpful for me , very nice work really amazing and appreciating, hope to get more supporting and guide full stuff from you future. 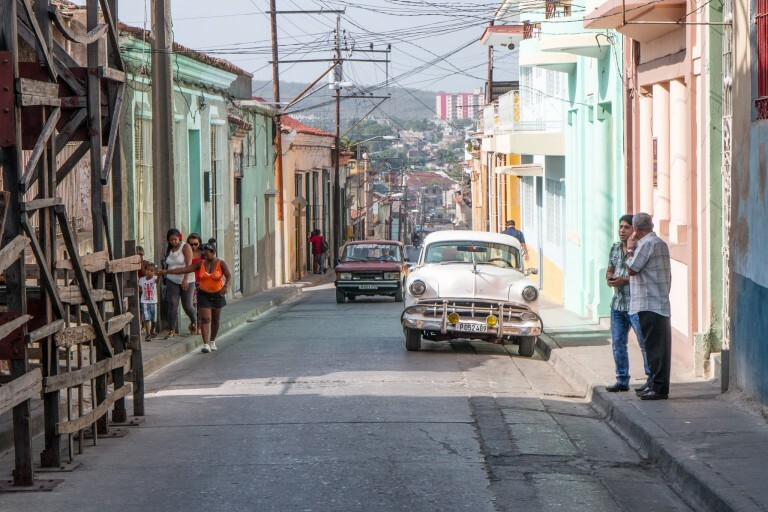 Cuba is a beautiful place to visit as it has this raw vibe to it with the culture they share.